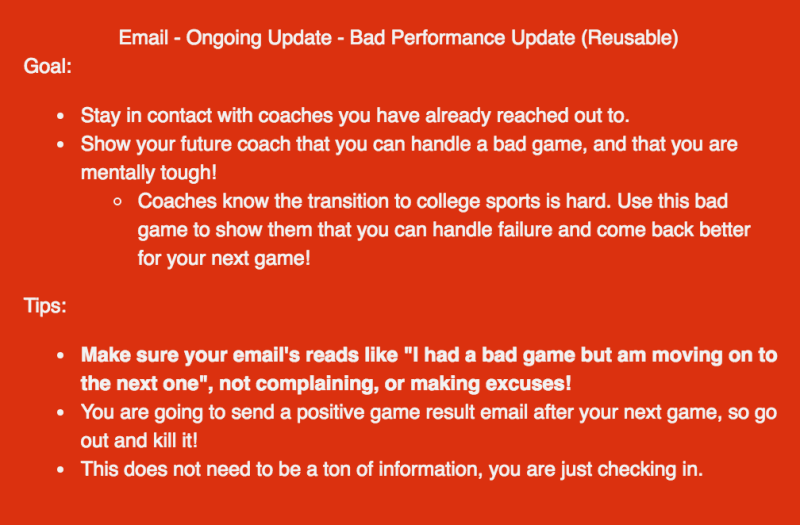 To use this template, copy and paste it into the email to a coach, then replace all (underlined) items with your information, and fill in the blanks as well! Do not include the italics. Do not copy everything word for word, coaches appreciate originality, it will help you stand out! 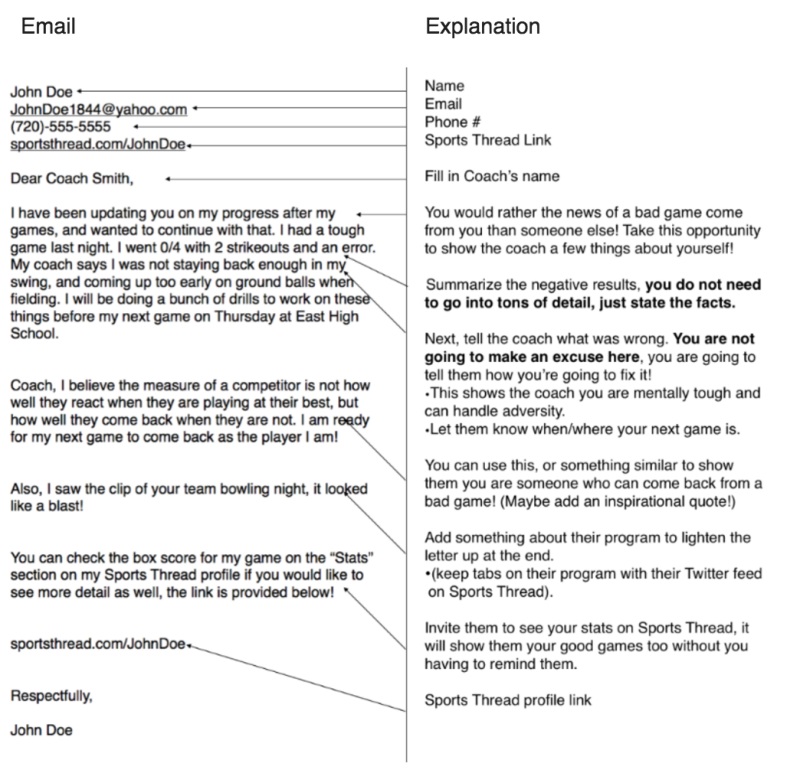 SUBJECT LINE: What I Learned. I have been updating you on my progress after my ( competitions), and wanted to continue with it. I had a tough ( competition) last night. ( Add details about what went wrong here). (Add what you are going to do to fix it here). (Let them know when your next game is here). Coach, I believe the measure of a competitor is not how well they react when they are playing at their best, but how well they come back when they are not. I am ready for my next game to come back as the player I am! ** You can change this if you would like to something of your own. You can check the box score for my game on the “Stats” section on my Sports Thread profile if you would like to see more detail as well, the link is provided below!